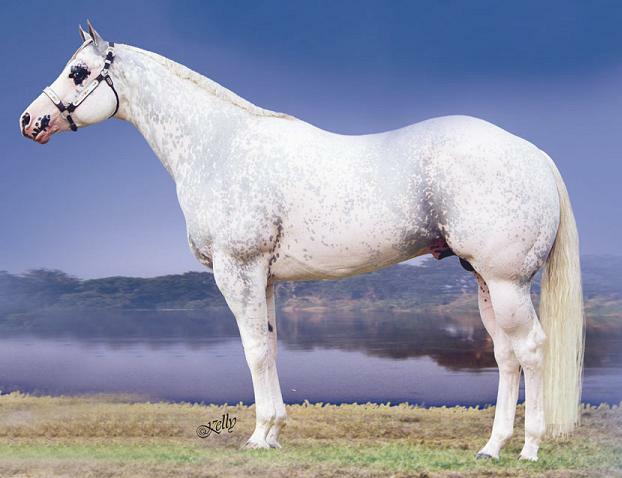 We have already seen that dominant white mutations have originated independently on several occasions, so that different mutations occur in different breeds, and even in different lines of the Thoroughbred. So far (July 2009) eleven separate mutations have been characterised and documented in eight different horse breeds. Some breeders have indicated surprise, or even disbelief, that several different mutations in the same gene should be involved in causing a similar white phenotype. However this situation isn't an unusual one and is well known to geneticists. It occurs especially in big genes where the product can work, or partially work, when produced by some of the mutant alleles. KIT is a complex and relatively large molecule and the gene coding for it has lots of regions of non-coding DNA (introns or "spacers") where mutations are more frequently tolerated. In mice there are more than 90 known mutations of KIT, and various KIT mutations are known in other animals. Among other things KIT mutations in other animals cause white coat color and spotting patterns, as discussed on the main dominant white page. Some of them are also known to be lethal when homozygous. In horses roan, sabino-1 and tobiano have all also been independently mapped to the KIT gene region on Chromosome 3 (Marklund et al, 1996, Mau et al, 2004, Brooks and Bailey, 2006, Brooks et al, 2007). 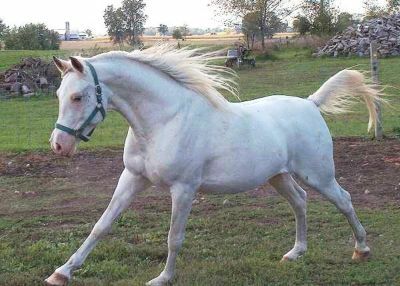 It is possible that sabino and dominant white are allelic, and maybe even the roan allele (or alleles) too. There's a discussion of this on a another page (see the link below). Both the dominant white alleles and the sabino-1 allele are variants of the same gene and they could be considered allelic. Read this page for a discussion of the issues where old nomenclature meets with new molecular genetic knowledge.